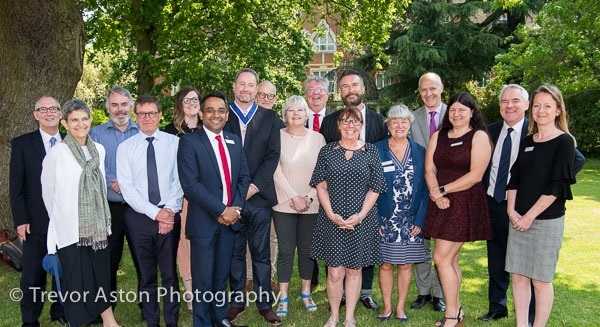 The Board supports the Chief Executive with the more strategic areas of chamber business as well as with broader business development issues in the Kingston borough. The expertise of our Board Directors covers a wide range of business experience and backgrounds. Directors are elected for a three-year period but may choose to be nominated for re-election at the Annual General Meeting in May. Each year, members appoint a President who represents the Chamber at formal functions and presides over quarterly board meetings. We adopt a highly inclusive approach with all our Board Members and the mix of different backgrounds, outlooks, and experiences is of huge benefit to the Chamber and our members. Their business expertise is a very valuable asset to the Chamber and its membership. Sue has lived and grown her accountancy practice in Chessington for the last 28 years. Robert has extensive experience in business and creative development. Linda is the Financial Director of Databac, a specialist plastic and RFID card..
Mark is a Director of Direct Colour Ltd, a large commercial printer in Chessington.